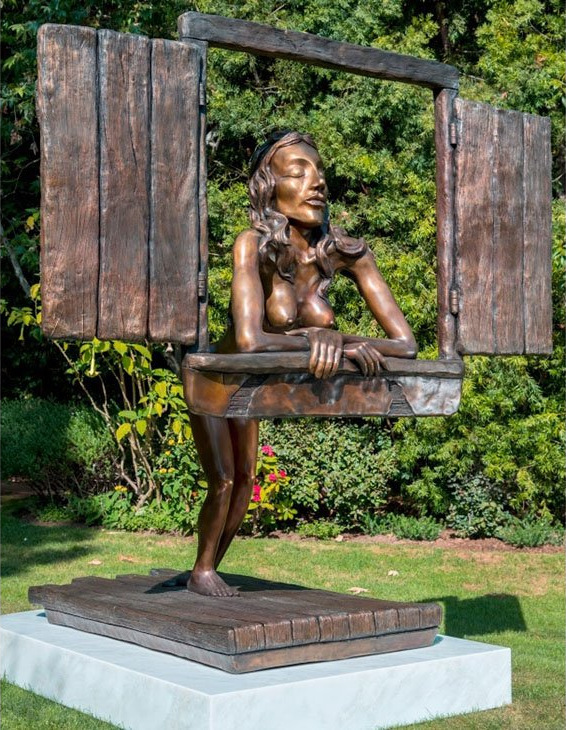 In 2013, Jim Carrey posted on his Twitter and Who Say account two pictures of him working with bronze to create "Ayla", a sculpture of a woman who represents "true love". In a previous article that you can read here, we write about Jim Carrey's talent for Sculptures and Ayla, in process. We never saw the completed Ayla. It took him two years to complete. After reading this week's issue of The Hollywood Reporter, we can now see it and that it found it's place at Jim Carrey's backyard. He describes it: "She holds all of the magic and power of the universe in her head and she's basically basking in the moonlight," he says, noting that her eyes open when a full moon reflects off her eyelids. "On full moon nights, she wakes up." We gotta say, we are very proud of Jim Carrey. The result is amazing and we can't wait to see more.